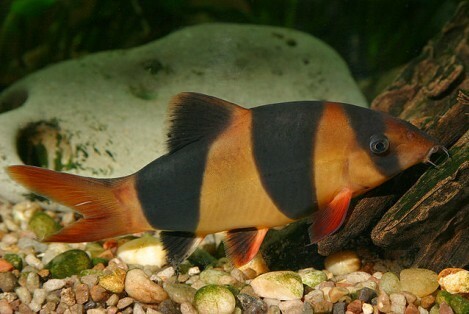 Botia macracantha common name clown loach are playful bottom feeding fish. They can grow up to 30 cm / 12 inches fully grown. They live in water parameters of PH range 6.0-7.5, temperatures of 23-30 Celsius / 73-86 °F. 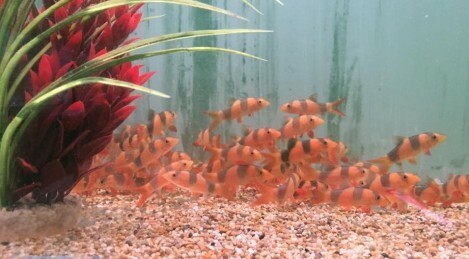 Clown loach are lovely playful fish, they are best in a small group of at least 2 or above. They like to hide and will try and fit through any gap even if they can not get in to it, so getting stuck is one of there bad habits. They can lie down, they swim all over the place and just create a playful environment in the tank. 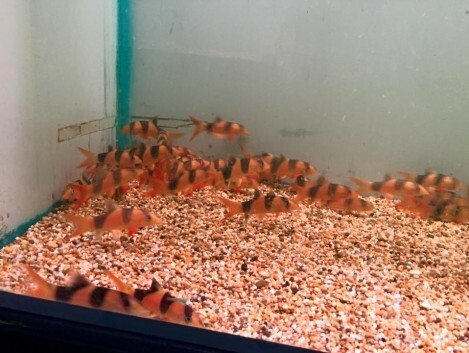 They can mix with small or large community fish. Clown loach are a handy fish to have in the tank as they can eat snails. So if you have any snail infestations clown loach are better than any treatment as they will eat the snails and the snail eggs. One thing to remember with clown loach is they are a scale less fish, this makes them delicate and they can come out with white spot very easy. When treating your fish for any treatment check to make sure its safe to use with your clown loach. A lot of the times the treatments should be fine but you would have to half dose the treatment. They are a bottom feeding fish so sinking food is best for them, like catfish pellets or a granular food. A treat of frozen or live blood worm is best for the diet to. Clown loach are a bottom feeding fish. They require sinking food. 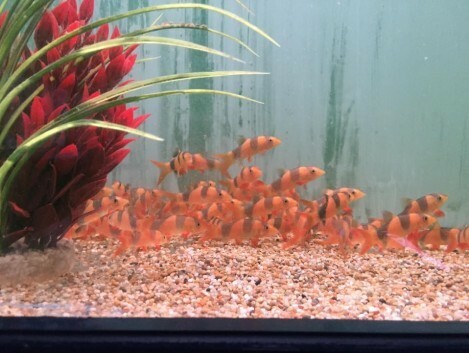 They will eat any food that sinks to the bottom of the tank and can be pushy when it comes to the food so spreading it around for the other fish to eat to is a good idea. They will need meat in there diet like frozen of live blood worm. Clown loach only need feeding once a day at the most.